I love Apple products, but lately my love-affair has waned a bit. I don’t buy the notion that Apple is not innovating anymore. If you look at their corporate filings and their tax strategies you will quickly see stunning “innovation” and “engineering” at work. However, while financial engineering may delight Apple shareholders, it’s not as amusing to the end consumers. And let’s be honest here, even the shareholders have been less than amused lately. 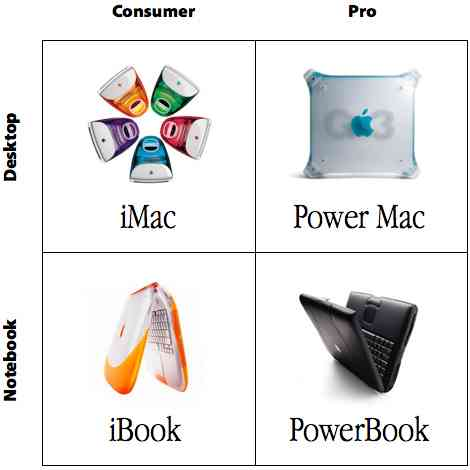 The strategy of concentrating on just a few products, the famous 4 product square that Steve Jobs introduced after he came back as the CEO of Apple, may have worked back when Apple was a smaller company. However, now that they are a trillion-dollar company they do need a few more pokers in the fire. In this blog I will talk about 5 markets Apple can enter today and is uniquely positioned to dominate. These include the consumer gaming market which Apple can enter through Apple TV, the personal server market through the reintroduction of the AirPort Router, the corporate server market through an introduction of a MacOS powered server, and the public cloud market through creation of a Swift-powered Apple cloud ecosystem. 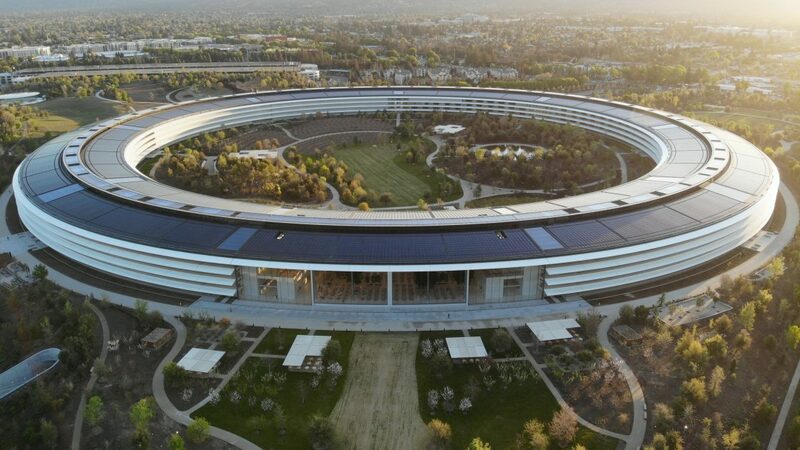 Finally, Apple can revolutionize the corporate and government agency custom software contracting through creation of a marketplace that brings together talented developers and large entities while providing an element of security to said large entities. Sounds interesting? Let’s take a look at each one of these opportunities individually. But gaming on a Mac? That’s just silly, no? Well stay with me here. At the end of October Apple introduced a new set of iPad Pros. While many reviewers have discussed the new looks of the iPads, the lack of the headphones port, the new USB-C connection, what many have overlooked is the iPad Pros’ gaming prowess. Now, I am not going to make the argument that the iPad Pro is the ultimate gaming machine, far from it. However, the A12X chip inside the new iPad Pro is simply amazing. Now, imagine a pair of the same chips, unrestricted by thermal and battery concerns integrated into Apple TV. 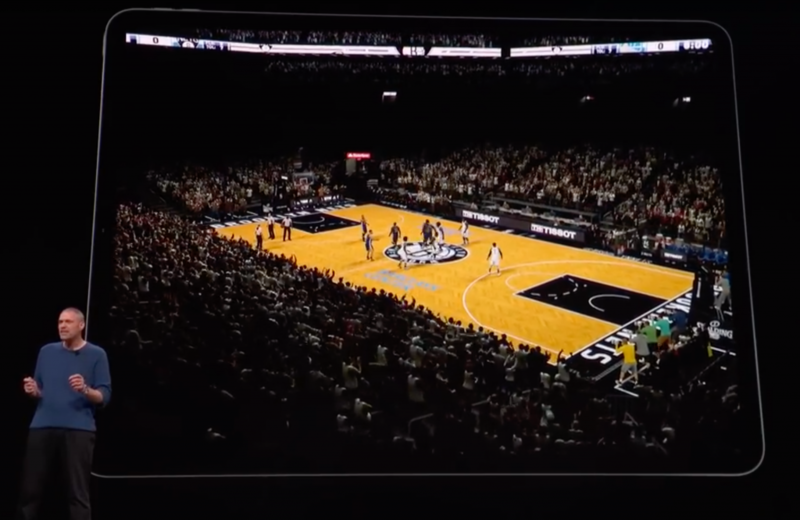 Apple TV can be the game console of the future. It could be Apple’s Answer to Sony’s Playstation or Microsoft’s XBox. And, in a completely un-Apple-like manner it could be sold for less money and Apple can still make cash hand over fist on the back end. Now, I know this sounds insane, ‘Apple, the budget brand’, but stick with me for a second. Because Apple designs their own A12 chips and their future iterations, and because Apple is now a “services company” they can afford to sell the hardware at cost. It used to be that Apple was a software company that monetized their software through beautiful hardware. Now Apple needs to be both, a software and a hardware company, that monetizes its products through services and experiences. But why sell the device at cost? Simple, to drag more people kicking and screaming into the Apple ecosystem. Remember, the iPod, was just that for Apple in the early 2000s. My Dad, a die-hard Windows user, had an iPod and then got an iPhone, and now he continues to be dragged into the ecosystem. Steve Jobs always argued that there is something about that $200 mark, maybe $300 now with inflation, that is very special, people are just willing to give you a chance. With a $300 gaming device Apple can introduce people into their ecosystem. Just like a good drug dealer, the first time is always free, or in this case affordable. Apple can differentiate itself from other game consoles by offering mouse and keyboard support integral for proper game play for certain titles and by having convenient streaming tools built right in. The difficult part of course will be recruiting game development companies to support the new device. However, there Apple has two very powerful tools at their disposal. The App store and the iOS ecosystem. Because any game designed for the new and powerful Apple TV (to be renamed) would be easily compilable to also run on the multitude of iPhones already in the marketplace, many game developers may take a chance on the new device. Further, the App store is notoriously profitable for game developers. Finally, of course, Apple has quite a bit of clout in the entertainment industry and with a little pushing and prodding they more than likely will be able to secure some impressive game titles at launch. But there is more! It is no longer a secret that Apple is considering replacing Intel as a supplier of its processors for its Mac lineup. And why not? Their own chip designs are getting more and more powerful, and they have done the switch before. Only ten years ago, in 2008, Apple made the switch to the Intel architecture from PowerPC architecture by IBM. They’ve done the switch before and we are confident that they can do so again. I have an extremely high latency satellite internet connection. The other day I wanted to use Apple’s Pages collaborative mode to work on a document with my wife. Sadly, it didn’t go so well because all the changes have to propagate through the internet. This means that even though my wife and I were only a few feet apart, the changes on my computer had to go from my computer to the router, then to the satellite modem, then travel 22,000 miles into the outer space, then another 22,000 miles back down to earth, and then snake their way through the internet to Apple’s datacenter. Of course that’s just half the journey, and the same data then had to repeat the path back to our house in order to propagate to my wife’s MacBook. So, all in all that’s an 88k miles journey, and even at the speed of light that takes roughly 500ms. Add to that a all of the latency on Apple’s end and other delays and transcoding, and we ended up with an unmanageable lag. Eventually, we ditched the Apple Pages solution in favor of a self-hosted CryptPad application that we installed on our file server. Zero lag, problem solved! And I know what you are thinking: “Not all of us are dumb enough to live completely off the grid in the middle of the desert!” But how often do you want to share pictures with your family or large files with your team, and then get stuck waiting for ever for Dropbox or another synching solution to upload the files to the cloud only so that they can be downloaded back to someone feet away from you. Now, imagine if there was a solution that would allow you to host your own Dropbox, Apple Pages sync service, photo sharing service, etc. And, imagine if that same solution would buffer all your favorite YouTube channels and TV shows for you during off-peak hours, perhaps while you sleep, and play them for you in any device you own, well at least any Apple device, in beautiful 4K resolution. Finally, imagine if this solution also happened to be a top of the line, easy to configure, and incredibly safe home router. Yes, of course, I am talking about the rebirth of the Apple AirPort! In 2018 Apple has exited the wireless router market and that was a big mistake. There is not much money to be made in wireless routers, if you try to monetize the hardware. But, what about monetizing services? Imagine a home router that has the same incredibly powerful A12X chip at its core, has 6 or more Terabytes of onboard storage in the form of fully redundant hybrid drives, and is sold at cost to the end consumers. I know, Apple retailing their hardware at cost! What next, jet packs for pigs? But stick with me here. 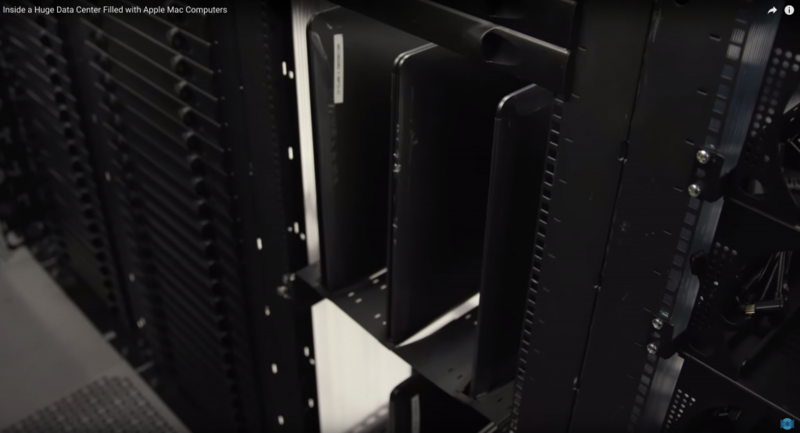 What if then, instead of just giving the access to the 6 Terabytes of storage inside the router, Apple rented that storage to both developers, large internet corporations like Google and Netflix, and the end consumers alike? Imagine having 2 Terabytes of iCloud storage that you pay for every month and that is available anywhere from Apple servers, but it is also available in your house instantaneously from your own router. When your family members share pictures with you those pictures load in a moment on all of your apple devices. When you click on a new YouTube video from your favorite creator it loads instantaneously rather than buffering for several seconds. And, of course, if you ever use Pages in collaborative mode with someone inside your house or small business the changes would propagate instantaneously. Of course, that’s not the end either. An entire ecosystem can be developed around the personal cloud router that allows end consumers to install apps on that router. Those apps can do things like monitor IP security cameras, run software such as CryptPad that we are using currently or any number of creative uses for what essentially will be an easy to use and maintain home-based general purpose server. And, of course, with every app sold or service installed Apple can make their 15-30% commission. For Apple, being in a wireless router market for the few dollars that they might make on the hardware doesn’t make much sense. But being in that same market for the hundreds of dollars that they can rake in service fees over the lifetime of the product makes a lot more sense. We just talked about putting a server in everyone’s home but what about the businesses? Aren’t they all moving to the cloud? Well, yes and no. While many businesses are moving to a managed public cloud infrastructure, many others are choosing to adapt hybrid solutions. Hosting some of their business logic on the public cloud provided by companies like Amazon, Microsoft, or Google, and still maintaining some of their own servers at what they call the “edge” of the network. The edge of the network is the computer that is closest to the end user or the real world. So, for instance, in your office your company’s website and online services can operate on a public cloud infrastructure of some kind, but if during your standard work week you interact with really large files and need to share them with your coworkers then your IT department may opt for an on premises file server that can handle those file sharing needs. Further, on premises infrastructure could be safer, if deployed correctly, and may even be required if you are working for certain types of high security organizations. Finally, on premises infrastructure is essential for real time machine learning applications. In the past I’ve written about the potential for an Apple Cloud on my blog. However, let me quickly sum up the idea for you again here. First, let’s talk about Swift. Swift is an excellent programming language that Apple has developed. It has near C level performance, is easy to learn, and easy to compile and deploy. Most recently, Google’s own Tensorflow project, the premier machine learning framework, has adopted Swift as its language of choice, and in some way is replacing Python with it. The Tensorflow team is now actively working to fully integrate the Tensorflow libraries with the Swift compiler. What this means is that for the first time ever you will be able to use code level logic inside Tensorflow’s calculational graphs. Basically, for machine learning applications this gives you much greater flexibility and ability to play with models which you simply couldn’t have built before. Ok, so Swift is awesome, but what is the point of the Apple Cloud? Well for this we need to take a look at the current state of the public cloud infrastructure space. Doubtlessly, you have heard of IBM announcing that they will purchase RedHat. But do you know why? It is almost entirely because RedHat is one of the main developers on the Kubernetes (K8s) project. But what is K8s? K8s is a management and packaging solution that allows you to package various pieces of software, such as for instance, a web server, a version of Python, and maybe a bunch of different libraries, along with your code of course, into a single container. Then with K8s you can take several of these containers and package them together into a deployment solution that can be easily uploaded to any public cloud and deployed with ease. While K8s is a great temporary solution it still basically a mess. What you are doing is taking a bunch of utterly unrelated tools and projects and bundling them together into a single deployable package in order to achieve scalability in a public cloud, wouldn’t it be easier if you can compile your application down to machine code with statically linked libraries and deploy it as a compiled single executable application to a server whose job it is to run such applications? This is exactly what Apple needs to do with Swift. While Swift is an open source language, the libraries for it do not have to be. Apple can develop sophisticated libraries targeting web services, database access, etc. and allow developers to compile their Swift source code into a single and easily deployable application. The application can run on an Apple on premises server (see above) or it can be deployed to the Apple cloud, where the application can be scaled up or down with demand. My final idea is another service, something I think is incredibly necessary and yet utterly unavailable at the moment. A code marketplace that can serve medium and large sized businesses and government agencies which have the budgets and the capabilities to hire outside developers to write custom software that will meet their needs, but often lack the expertise to choose a high quality provider. Apple desperately wants to break into the enterprise space, and this is the way they can do so. They already have an incredibly valuable resource, millions of skilled developers who contribute to the App store. They further have the insight of how well those developers perform based on automated crash reports and feedback from App store customers. They can leverage this information and create a code marketplace. The way it would work is that a large corporate client or a large government agency in collaboration with an Apple representative would create a requirements document and a project description and post it on the code marketplace. Various independent developers would be able to bid on the project. The end resulting software, that those developers would create, would run on Apple devices and Apple servers, of course. The client could select a developer of their choice from the bids provided with the security of knowing that the entire project is backed by Apple itself. If there is any problem or if the subcontractor fails to deliver Apple is on the hook to make everything right. While this is a risk, it is a risk that is easy to mitigate using all the data that Apple has at its disposal about its developers. However, in exchange, Apple gets to collect 30-50% of the overall contract value. And such contracts would be in the range from $100k to $1+ million a pop. Imagine having government websites that finally work, or the self-checkout counters at large grocery chains that do not take 10 seconds to respond to finger taps (I am looking at you, Walmart)! In this market area, Apple would basically act as an intermediary, an insurance company that allows corporate project managers to feel confident about hiring a talented independent developer, rather than a greedy and often time inept government contracting firm. And, in exchange, Apple will be compensated handsomely for this service, up front, and will make a ton of money on the back end selling hardware to the same corporate clients to run their new shiny code on. Gaming: Apple needs to go into the gaming market with an Apple TV like device that is capable of running modern triple A class games. The device should be capable of using mouse, keyboard, and controllers in order to support all of the various game play styles. This is the new doorway into the Apple ecosystem. It will be the iPod of 2019. Inexpensive, and undeniably good at what it does. Personal Servers: There is an untapped market of people who wish they could set up their own personal server for various purposes but do not have the skills to do so. 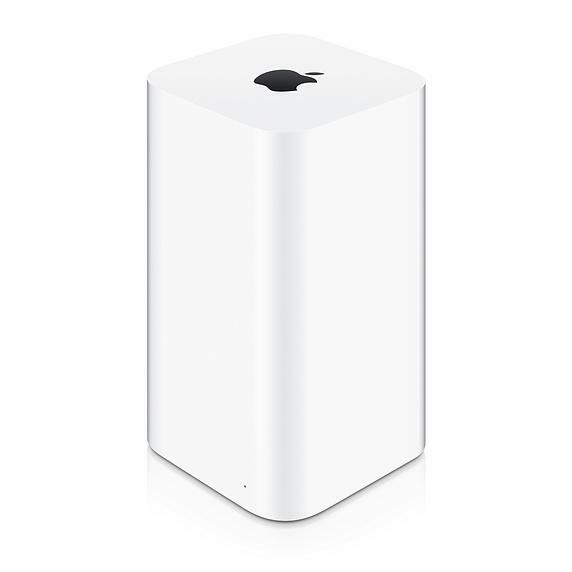 Apple should enter this market with a new AirPort Extreme Router that will allow App execution on the router and will have ample storage space that could be rented to end consumers and large corporations alike. Corporate Servers: This is an obvious and simple to enter market. It’s a market that Apple used to be in the past and should come back to again. It makes a lot more sense when considered in combination with the Apple cloud which I also proposed. Apple Cloud: The idea of a public cloud is taking the internet by storm. It is the central growth driver for both Alibaba and Amazon but the actual implementations are still lacking in elegance and simplicity. With Swift and precompiled containerized apps Apple can bring elegance and simplicity to this market, and make insane amounts of money in the process. Code Marketplace: This is one of those ideas that could make money and could also make the world a legitimately better place for both corporations and indie developers. By acting as a quality assurance agent and middleman Apple could partner up indie developers with organizations that have the budget for custom software development and make a ton of money in the process.